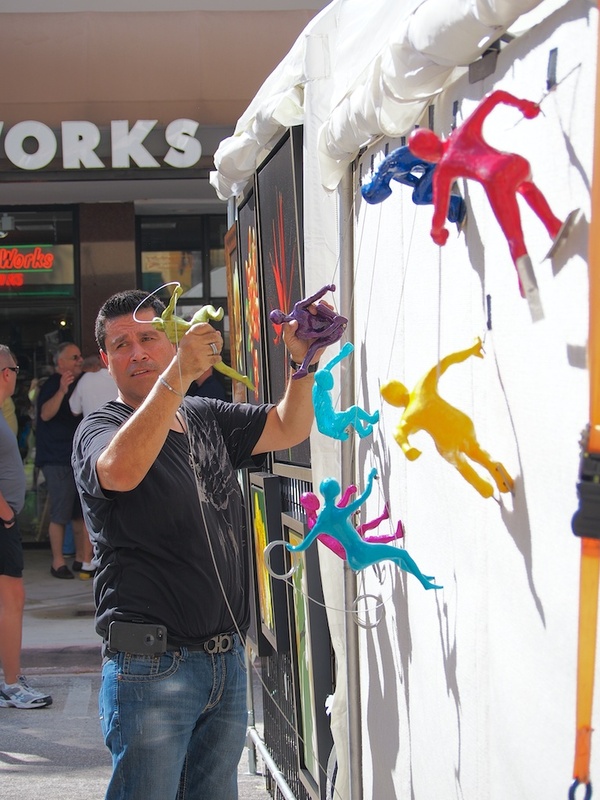 “Since my time in high school, sculpture has been an obsession and a fascination for me. The idea of molding three-dimensional forms, with contour, details and colors provides me endless creativity. I have been privileged to have worked with masters such as Fernando Botero. Being an artist sculptor has never been easy. However, I cannot describe the amount of joy, happiness and peace that I feel when I am sculpting especially when working on a new idea. Originally from Bogota, Colombia Marin was sought out by the owner of MAC Art Galleries over 20 years ago. 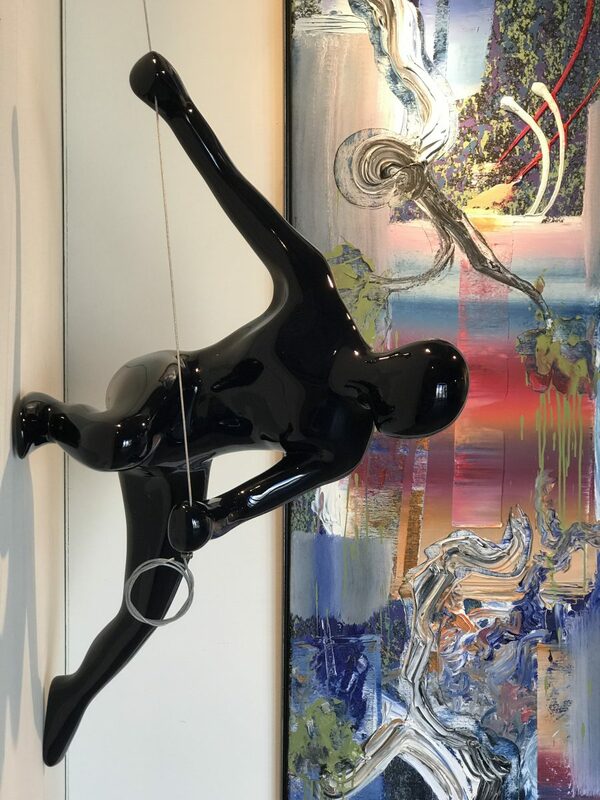 His figurative sculptural work employs the precision of an engineer whose motive is to incite play, dynamism and thoughtfulness in the viewers of his works. 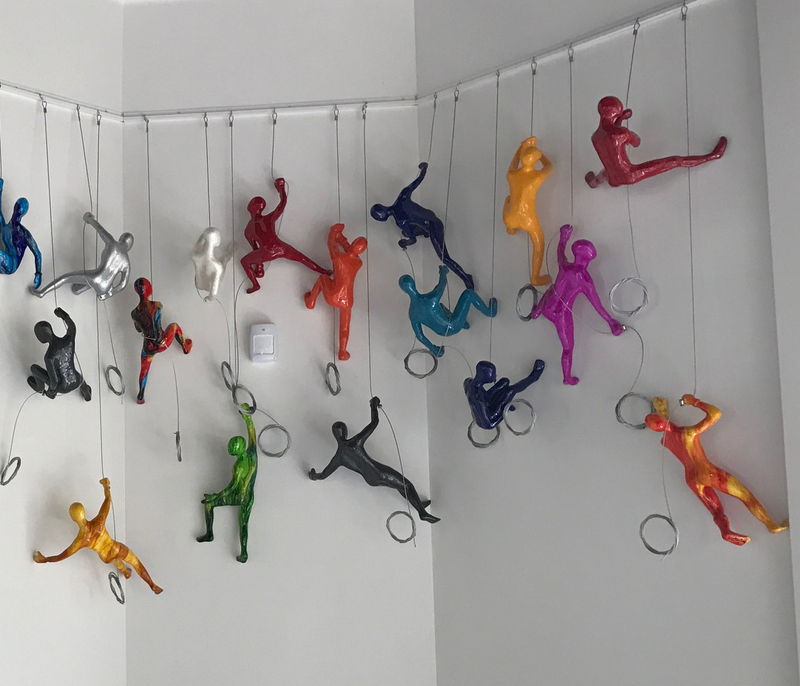 Made famous by the small climbers, forming intricate and colorful installations in homes all over the world, Marin has begun making larger sculptures. The largest climber, nicknamed Botero Girl, lavishly climbing up a wall adds a conversation starting playful element to any space. She is a modern take on the wise women of art past that have been, she represents a meditation of the future, sculpted from fiberglass and drenched in automotive paints, Maserati blue and sportscar silver. Maserati girl smiles serenely from the wall of a south Florida art collectors’ home, utterly content, as she does from the installation of them the artist has built in Dubai. 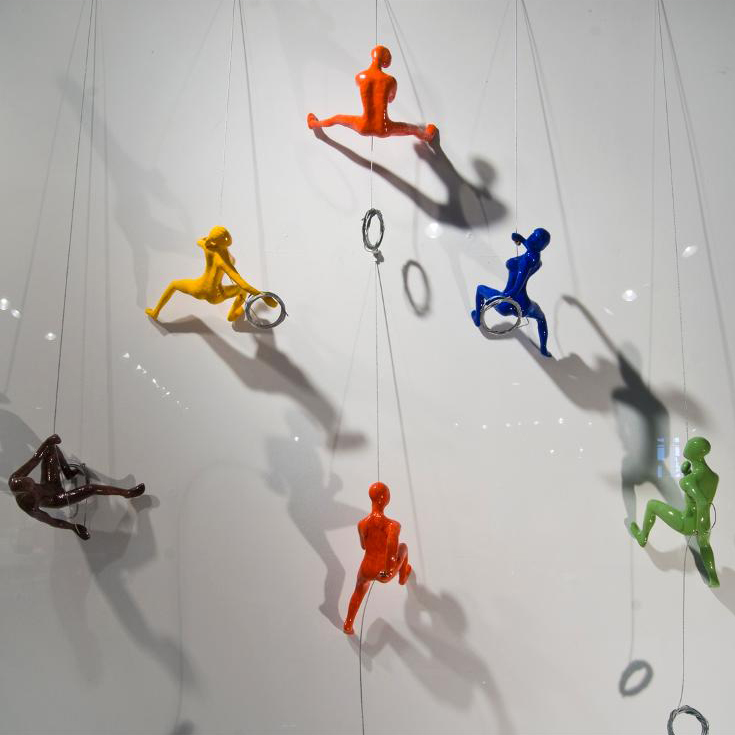 Great art speaks to the ways in which the past and the present, and we across there globe are connected- the climbers are an ode to that- always moving, speak to the adventurous thinker and art collector. 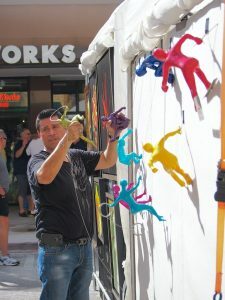 The XL Climbers, measuring in at … are exclusive to Mac Fine Art here in South Florida, but can be custom made and shipped to homes and designers all over the world.